Waste oil boilers deliver an efficient way to recycle waste oils as a free fuel source to generate heat and hot water, which can be used to heat garages, workshops, warehouses, greenhouses to name but a few, within the broad range of applications it can be used for. Our German made waste oil boilers are designed for the unique demands of providing water heating systems run on waste engine oils, hydraulic oil, vegetable oils, bio-diesel and a range of other fuels. Convert all these free or low cost fuels into clean, usable heat and virtually eliminate your fuel costs! 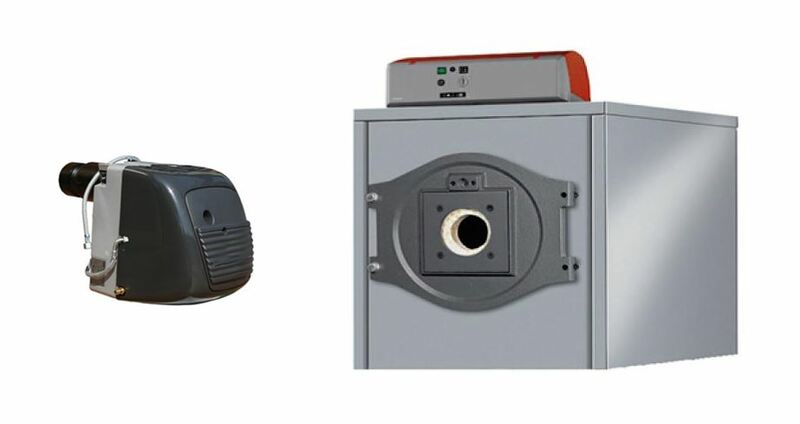 The Kroll series of waste oil boilers are designed for perfect compatibility with Kroll waste oil burners, providing a complete and proven solution. These waste oil boilers are made in the EU and exported worldwide. They combine exceptional prices with excellent quality for unbeatable value. 2. 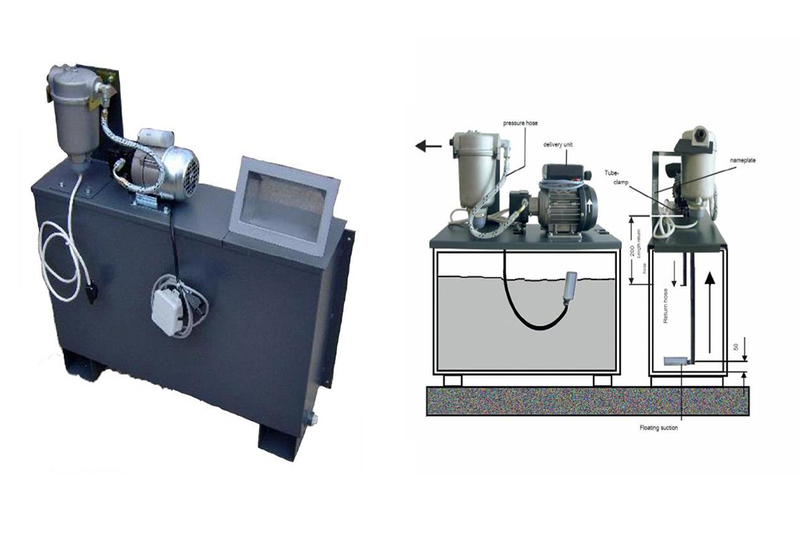 These waste oil boilers are not suitable for installation in a house, as the pre-heating of the oil, can sometimes cause a smell. They should be sited in a separate building, such as a boiler house / garage etc, and the warm water is brought via pipes into the house or premises. 1. “You get nothing, for nothing” as the saying goes, and if you are burn waste oil, then they are not made to a definite BS / EN standards, which specifies their filtration level, their calorific value etc. Waste engine oil often has small metal particles suspended in the oil, which should lie as a fine white dust if the boiler is burning correctly. This builds up over a period of time, how quickly this does depends on how “dirty” the oil is (remember it’s your oil, not mine – I can’t tell you ! ) thus we recommend opening up an inspecting the boiler every 300 burning hours ( roughly 6 weeks in the winter ) and cleaning the combustion chamber , and boiler tubes – this should take approximately ½ to ¾ of an hour of your time – if so required- if it isn’t close the boiler back up and check again in another 6 weeks . If you are not prepared to do this, to ensure the correct operation of the boiler, please buy a standard oil or gas boiler of us, and don’t moan to me regarding how much your fuel bills are !!! , you get free heat via your waste oil, it needs you time!! 2. These waste oil / multi oil boilers are an “oil burner “not a miracle worker, and things like brake fluid and clutch fluid, should not be burnt as they cause problems to the burner ( they destroy the rubber seals, that we use in our nozzles, and crystallize up, causing blockages in the nozzles and pipes of the burner – they are fluids not oils !!!!! 3. Also no petrol or paint thinners either!!! We use a pre-heater to heat the oil up to 75 C ish for waste engine oil , or up to 140 C for vegetable oil . This will ignite the fluids and cause a fire!!! also no transformer oil or capacitor oil is to be burnt. If you are not prepared to do this, to ensure the correct operation of the waste oil boiler, please buy a standard oil or gas boiler from us, and don’t moan to us regarding how much your fuel bills are !!! , you get free heat via your waste oil, it needs your time!! The basis of this information, is to let you know the pro’s and con’s of burning waste oil, and the fuel bill savings you can achieve, please remember that you could be saving thousands of pounds per year and to let you, the customer, decide if a waste / multi oil boiler is right for you. 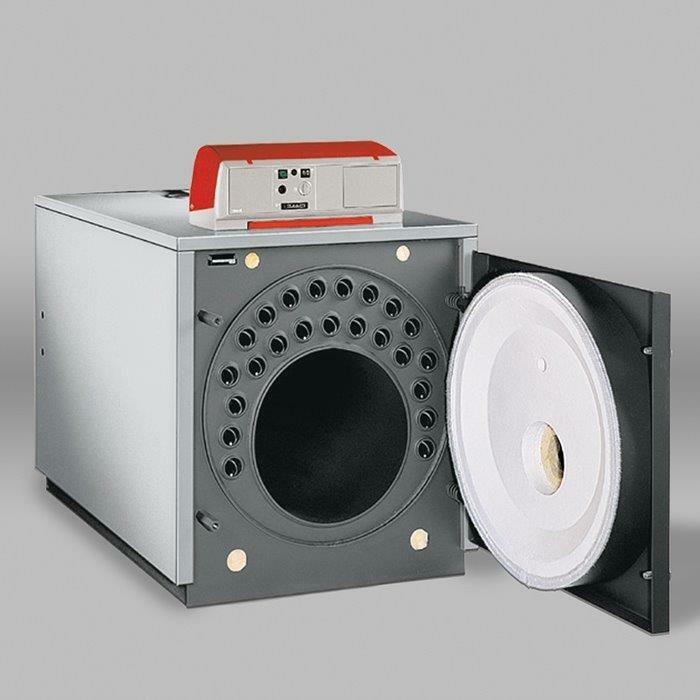 We highly recommend that you use our oil tank with our multi / waste oil burners, which are fitted to our automatic waste oil warm air heaters or our multi / waste oil boiler packages. It can be used as your oil tank for your fuel, negating the need for an external oil tank, depending on the size of your waste oil burner, it may need topping up every couple of days or may be every week dependent on your usage. 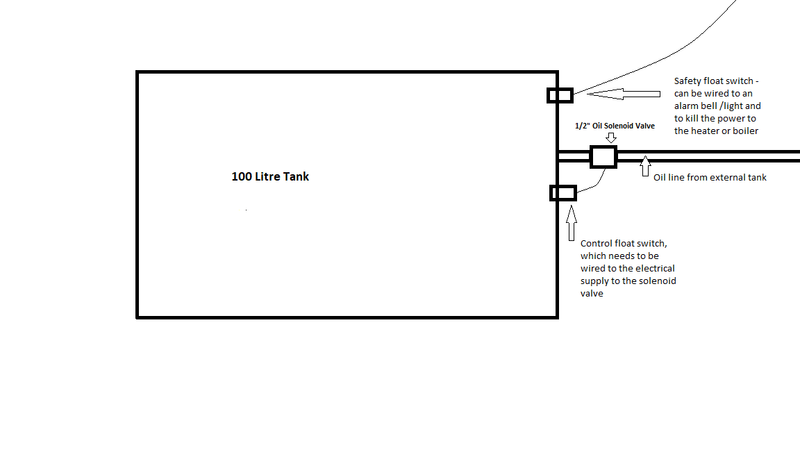 You need to make a tapping / tank connection on one of the walls of the 59 or 109 litre oil tank, for the oil supply that will be controlled with a solenoid valve. 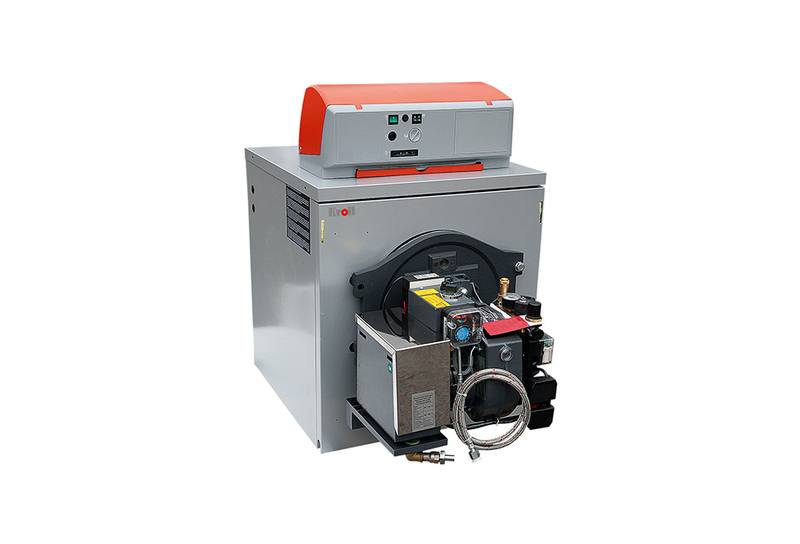 Here at Flexiheat , we are always moving our product development forward , and due to many requests , we now have a waste oil boiler and burner combination , that has an output range of up to 1,200 kW . 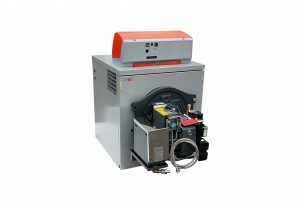 These Flexiheat Multi Oil Boiler Packages are now designated the “FMOB” range , The full range of multi/waste oil boiler goes up to 1,200 kW output , and you require a compressed air supply , with a 2.5 Bar pressure and the volume of air require varies with regards to the waste oil burner output ( up to our 163 kW waste oil boiler requires 63 litres a minute of compressed air , after this size and until our 400 kW waste oil boilers , they require 130 Litres a minute of compressed air ).The waste oil boiler should be installed in an appropriate room with ventilation openings, according to requirements of provisions in force, ensuring a sufficient supply of combustion air, as these are not balanced flue or room sealed waste oil boilers or multi oil boilers.These boilers that we use are steel, high efficiency boilers , that are CE marked and are ideal for heating medium to large size facilities.The unique construction of a combustion chamber and heat exchanger guarantee high efficiency of the waste oil boiler, which results in lower fuel consumption. These waste oil boilers also have low heat losses due to the high level of insulation used to cover the heat exchanger and boiler, and thanks to the turbulators installed in the heat exchanger , which lower the flue gas temperatures and ensure the flue gas speed is optimized,they extract the maximum energy from the oil being burnt. A Brief overview of the most common waste oil boilers are listed below,for above 233kW , please contact us direct- Please note -The heating capacity and oil consumption depend on the calorific value of the fuel used.